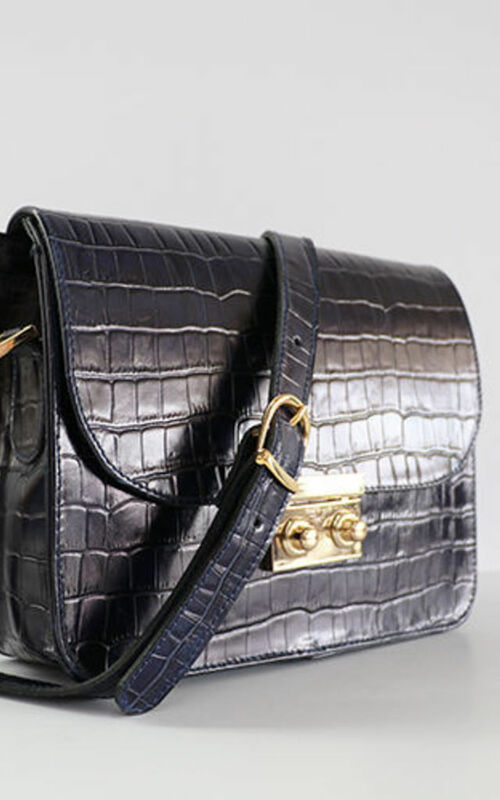 Crocodile print leather handbag with lock gold closure. 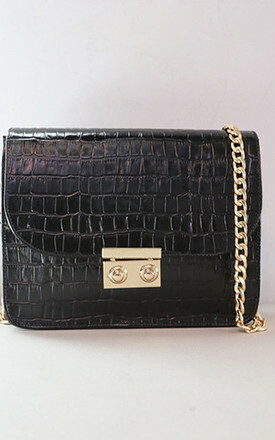 Golden chain of 95cm or leather strap. Inside: Main compartment with pocket compartment.